This is the goal set by Movement partners gathered on 6 Sepetember, in Yerevan, at Armenian Red Cross Society Headquarters, at the Movement Contingency Planning Strategic Meeting, which was followed by 2-day workshop in Thaghkadzor, to start Movement Contingency Planning process. Armenian Red Cross Society (HQ and Regional Branches), togather with ICRC, IFRC, and Danish, Austrian, Icelandic, German and Swiss Red Crosses and Iranian Red Crescent high-level representatives attended the event to develop thorough concept and toolbox for a joint response in the event of conflicts affecting Armenia. Beginning of April 2016, the conflict over Nagorno Karabagh reached a new and unprecedented peek since the end of the war in 1994. This resulted in more than a hundred casualties and several thousand displaced in Nagorno Karabagh. 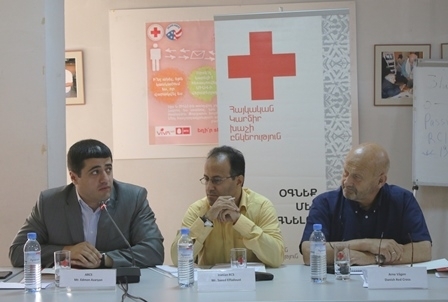 The ICRC, only international humanitarian organization present in Nagorno Karabagh, worked intensely to protect and assist the affected population along the Line of Contact. On ICRC side, there were no capacities available to react to the influx of people who left Nagorno Karabagh to seek refuge with friends and relatives in Armenia. 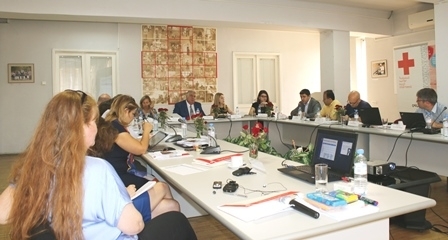 Armenian Red Cross Society, in the context of long-term cooperation with UNHCR was actively engaged in supporting displaced persons by identification, development of registration and assessment forms, conducting registration and assessment, providing psychological consultation to the most vulnerable women and children, identification of persons with specific needs, participating in cooperation meetings with stakeholders. ARCS focal points at Regional Branches coordinated the process on the site. During and after the intense hostilities, ARCS and ICRC responded as good as their preparedness measures and resources allowed, but all agreed that the response in Armenia could have been more comprehensive and better reflected the strength of the Movement. Therefore, in a tripartite-meeting afterwards, with the objective to improve the Red Cross engagement, the ARCS, the International Federation of Red Cross and Red Crescent Societies (IFRC) and the ICRC decided to get prepared for a possible resumption of the conflict by acting jointly – as a Movement. The following day, this new approach was shared during a partnership meeting with ARCS partner National Societies. The parteners welcomed the approach and express readiness to support the process. 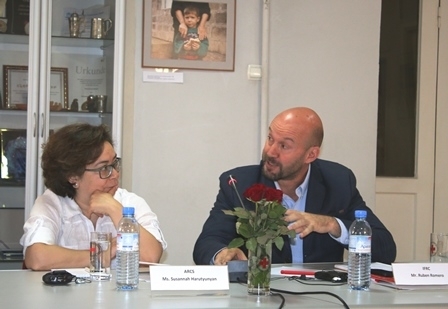 “Being an auxiliary organization to the public authorities in humanitarian sphere, realizing our responsibility and the serious role, as well as taking into account the capacities and possibilities of the International Movement, it’s very important to have a precise and coordinated contingency plan jointly, as a Movement”, Dr. Mkhitar Mnatsakanyan, ARCS President mentioned at Strategic Meeting. 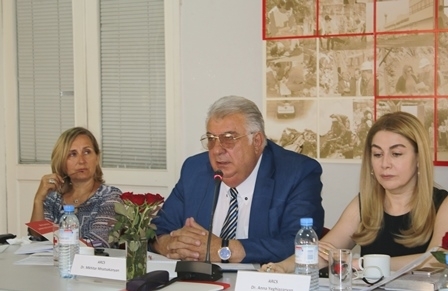 "ICRC is very happy to coordinate this Movement Contingency Plan process, together with the Armenian Red Cross, because we strongly believe that being prepared is crucial to save lives of victims of conflicts. At the same time, the safety of volunteers and staff, who take risks to assist people affected during hostilities, will be ensured. The ICRC supported last year the Safer Access plan of action for ARCS. 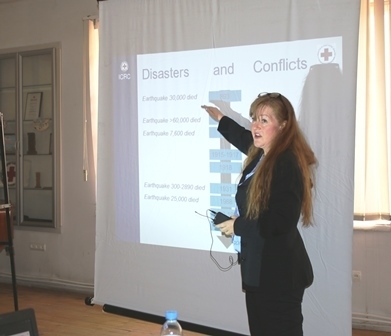 This will provide a solid base in the contingency plan for conflicts", Caroline Douilliez, ICRC Head of Delegation in Armenia added. 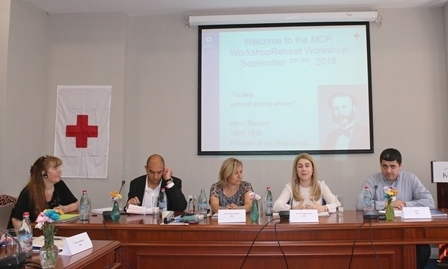 Participants worked in mixed teams to assess the potential needs that would arise in Armenia, in case of a resumption of the Nagorno Karabagh conflict. They discussed scenarios, assessed existing capacities and gaps, and came up with first-response activities. The working groups involved discussions on security, response, coordination and communication. The event took place in an atmosphere of cordial partnership and pragmatism. The end result will not be a shiny book on a shelf, but a slim living document featuring a toolbox of standard operating procedures, checklists, questionnaires and guidelines. Notably, the entire process is embedded in the Safer Access Framework and the “Strengthening Movement Coordination and Cooperation” approach, allowing it to build on the developments of recent years. 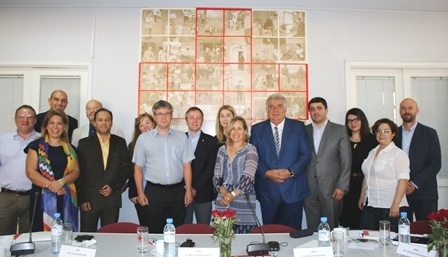 With regular meetings and exchanges with other structures and organizations ongoing, this Movement Contingency Plan promises to fit into the overall picture of the emergency response in Armenia. It will ensure a comprehensive, adapted and independent Movement response to the needs of persons affected by conflict within Armenia. Further on, lessons learnt from this joint Contingency Plan process should be integrated into a blueprint for Movement preparedness to be easily replicated and used in other contexts.